Hello Cropstop friends! Here we are at the beginning of a new year and with it comes some BIG changes. This will be the FINAL CHALLENGE for the Cropstop blog as I have decided to step down and Haylie-Jo has decided to give the blog a break for a while. We've enjoyed working together for these past two years, and have been inspired by all of your beautiful work. Create a project in NEUTRAL TONES and I'll enter your name twice in the random draw! I'm sad this will be the last challenge here at Cropstop. But, Esther you have gone out with a bang! I love this wintry combination, and actually woke up this morning with the burlap and snow white combination whirling around in my head! Two great minds! Thanks for a wonderful set of challenges at Cropstop over the last couple of years, and best wishes to you in your future endeavors. Hosting challenges takes a lot of time and effort and I appreciate all the work that has gone into them. Love this final challenge and can't wait to pull out some burlap to make a project. Happy 2019 to you all! 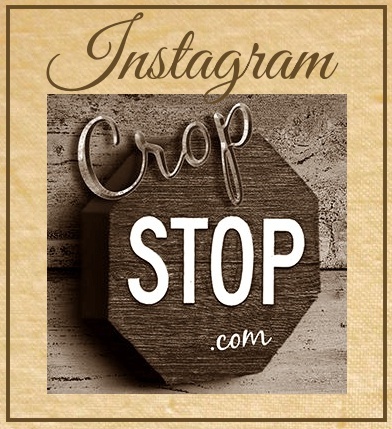 I've always enjoyed the Cropstop Challenges and will be sad to see them end. Esther, you've done a great job with them and I hope all goes well with your future plans. 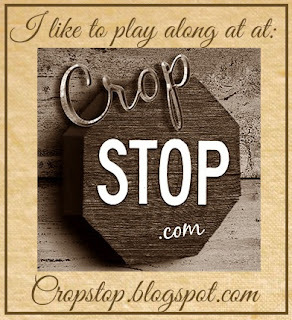 You have done a wonderful job hosting the blog, I love the last wonderful creation you have made for the last post, the white against the burlap is wonderful and love the embossing folder you chose for the background! Beautiful creation Esther! I am so sorry to hear that this is the last challenge, I will miss joining in. Thank you for the fun and inspiration! So sorry to hear this challenge is ending. It has been soooooooo much fun...and always a source of inspiration from you and your talented guests! Thank you for all the many, many hours of work you have put into it. You are appreciated!!! Hugs and many thanks for everything! I am sad to read that this is the final challenge but I can certainly understand. Your card is absolutely beautiful and I don't know why I don't remember to use my burlap - thank you for the reminder! I've entered two cards today and neither of them are neutral colours but hopefully I can get something neutral together before the challenge ends. Best wishes to you both in the future and thank you for all past challenges - I enjoyed joining here whenever I could and I even had the privilege of being a guest designer - thank you! All my best! C'est avec joie que je participe à ce superbe défi, même si c'est le dernier. It is with joy that I participate in this great challenge, even if it is the last one.